I just got rid of the blanket George and I shared for ten years. 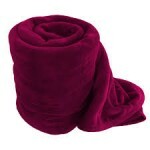 It was soft and warm and lasted a long time. 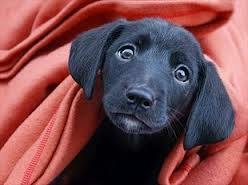 What more can one ask of a blanket? However, I noticed when I put it on the bed in October, it had what looked like many little tears in the surface. One more winter, I thought. Surely I can use it one more winter. because I’m too cheap to buy another. I blogged on this a year ago so you don’t remember this confession: I’m cheap. Really, really cheap, extraordinarily frugal. Every time I changed the sheets, I noticed that the slits had turned into small holes. In those places, mesh showed through. This is a Vellux blanket in which fabric is sprayed onto mesh. LIttle by little, the cover wears off. I also found small pieces of soft, maroon fabric on the sheets last week. My plan was to give the old blanket to the veterinarian hospital that takes such good care of my pets, but, when I pulled it out of the dryer this morning, I noted huge chunks of fabric inside the dryer, a mess in the lint filter, and huge holes in the blanket. I’m not sure even the dogs want this. I wanted to take a picture for this blog, but the old thing was shedding too much to carry it the picture taking site. The good news: I made it through winter without having to buy another blanket. Who knows what may happen before next fall when I need to buy a new blanket? I could decide to use the quilt my grandmother made or move to a warmer place or, well, who knows? What have you kept for too long? What can’t you part with and why not? Do you hold onto possessions for sentimental reasons? Because they are pretty or useful? Are you a collector or someone who hopes they’ll be worth a lot in a few years? Or, are you cheap like me? I’d love to know. What makes you buy something. For me it’s simple: YELLOW! If I see something yellow I buy it. I’ve had several yellow cars, painted rooms yellow, have yellow shoes. Sadly, as much as I love yellow, it isn’t the most flattering color on me–but, still, I buy yellow shirts. The reasons? I have none but I do have a guess. Yellow is like sunshine. I see it and it cheers me up, makes me smile. Could be seasonal affective disorder and I treat it by surrounding myself with yellow. Or, it could be simply because I like yellow. One of the few things George and I disagreed vehemently on was color: he was a fan of more neutral colors. I ceded that point to him but used bright color in my study and bath. I realized this, as if I didn’t kow, yesterday when I saw a yellow plate with white dots on it. I had to buy it. Fortunately–because I am really cheap–the plate didn’t cost much. Another weakness: a calendar with either kittens or cocker spaniels on it. I limit myself to one a year–not easy–or I’d have them covering every wall of the apartment. However, I don’t buy clothing with kittens or puppies on it because, after all, one must act one’s age. And Stacy and Clinto would make me throw them all away (a reference to What Not to Wear, if you don’t pick up on those names). What is an automatic buy for you? 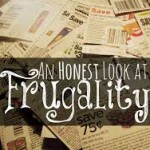 In an earlier blog, I confessed that I’m frugal. However, my husband is cheap unless, of course, he’s looking to buy a computer, car or television. Yes, he had only five crackers left. Can any of you beat that? I don’t like to spend money. No, the problem goes even deeper. More than just Scotch or parsimonious or frugal, I’m downright—an ugly word is coming up–cheap. As the clichés go, I can squeeze a dollar until it screams. See that picture below of the person burning a dollar? That is not me! I take gentle care of every bill. I’m currently using a lipstick which is such a terrible color it makes me look as if I have jaundice . When I brush it on, it feels as if I’ve smeared grease on my lips. In addition, that terrible blobby substance leaves hideous, oily magenta stains on anything within five inches. I keep using it because the tube cost nearly nine dollars. I’ve used room spray that smells only slightly better than the odor it’s meant to mask and throws my sinuses into spasms. I can’t stop using it. I still have half a can left. Most days, you’ll see a bottle of something—hand lotion, laundry detergent, ketchup—on the counter with another bottle of the same substance on top of it upside down, the contents dripping into the first container. I like to believe I’m saving the world one drip-drop at a time. Do any of you take such drastic measures to save money? Funny or helpful, give me your tips here. AND, if they’re sound, I’ll use them either in my next newsletter or my website (janemyersperrine.com) and mention your name. I’m looking for these tips because the people who populate Butternut Creek are a thrifty lot and Adam doesn’t have two pennies to rub together. .
Tuesday, Valentine’s Day, I’m delighted to welcome my first interview on the blog. Missy Tippens and I’ve been on-line friends for seven years. She writes for Love Inspired and has a terrific new book available now! On Thursday, I’m going to confess one of my deepest secrets. one that only my husband knows. One I share with no one. I’m cheap. 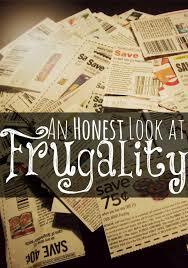 Not just frugal or stingy. Cheap. If you drop by the blog and give me a good, acceptable way to save money, I might include that on my web site or in a newsletter. Adam Jordan, the hero of the Butternut Creek series, has very little money. 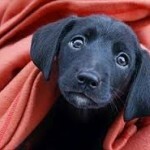 He could use your help stretching every dollar.